Earlier this month I left my cushy developer job at Amazon to work for myself. I am 35, living in Seattle with my wife and two small kids, ages 2 and 4. I’m starting this quest for an independent lifestyle with no business and household income yet, and my target is to cover my family’s expenses from my new work before I run out of savings. Due to extraordinary luck and being in the right place at the right time, I managed to save a good amount of money in the last 5 years. My net worth was negative in 2013, but it now stands at around $1.4M, with $1M in liquid assets and the rest in home equity. That entire $1M, minus a small amount, is at stake in this venture. In fact, I’ve already mentally written it all off. On my savings balance I’ve set a surrender threshold of 6 months’ worth of expenses, and if it dips below that line I will abandon this route and go get a job again. I’m quite confident I could find a job within a couple of months that makes ends meet, but I’ve reserved six months coverage just for the extra precaution. I realize that $1M in savings is an exceptional amount of money for many people considering a similar path. However, I believe I would have still left my job and gone this route even with savings that covered just 1.5 years of expenses. One year of runway is a reasonable amount of time to give something a shot, with the other 6 months to fall back to the job market if things don’t work out. Also, remember that even if you start with one year of covered expenses, the runway will grow longer as soon as you start making money. You don’t need to break even immediately within the first year. For example, in my case, I’m starting with 5.5 years of covered expenses. If I simply manage to add $250 of linear income growth per month, I will break even with my expenses in my fifth year while still staying abundantly clear of my surrender threshold. This projection is what gave me the most confidence in taking the plunge now rather than continue to defer it. The $250 is just an income growth target that assures me I won’t run out of savings if I meet it. (I open sourced this spreadsheet on GitHub.) And adding $250 per month with a digital product in a global marketplace seems doable. For example, if I built a $50/month SaaS, all I’d need is 5 or 6 net new customers per month (depending on operating costs). I’m not expecting it to be easy, but I can see this happening. 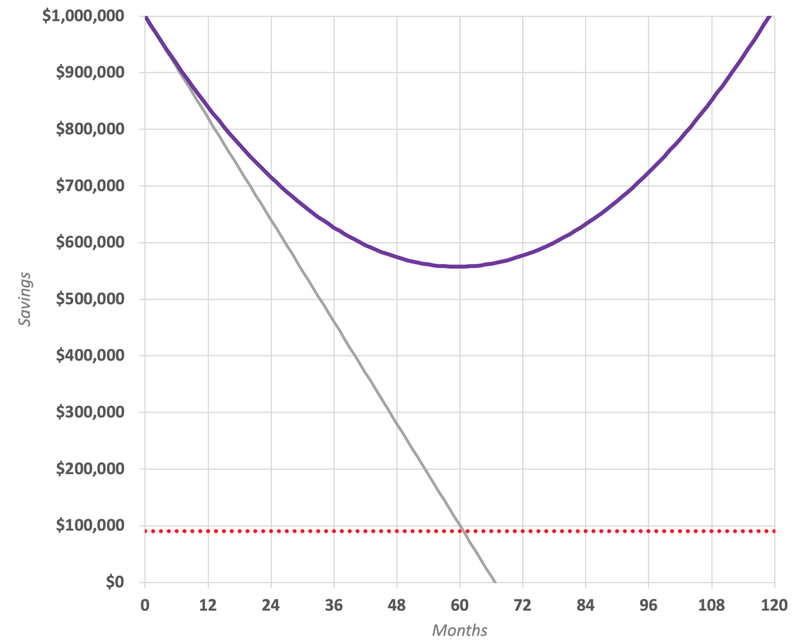 The purple line is my savings balance with $250 of linear income growth per month. The gray line is my savings balance with no income at all. The red dotted line is my surrender threshold. I admit that it would have been hard for me to regress my standard of living, especially with a family. In fact, I promised my family that our lifestyle wouldn’t have to change because of this experiment I’m doing with my career. We did seriously consider moving 30 miles out of Seattle, where houses cost $350 per sq. ft rather than $500, but my family wasn’t enthusiastic about being far away from our current community, and it wouldn’t have made a big difference to my runway anyway. The last item is a very conservative budget, and barring any emergencies, I don’t expect to have to spend it all. But the rest are basically my fixed costs. If the circumstances were different, I might have looked at trimming some of the expenses, but it actually doesn’t make much difference in my situation. Obviously, I still retain the option of trimming some expenses in the future, but I’m not expecting to do so right now. When I was with Amazon, I paid $290/month for a family health plan with a $4.5K deductible and $9K max out of pocket. COBRA gave me the option of staying with the Amazon plan for 12 more months at a cost of $1,450/month. When I first looked at alternatives in the ACA marketplace, there was only one insurer in Washington state. It was more expensive than COBRA, and it didn’t cover any of our preferred doctors. But in 2019, two other insurers showed up, and one of them offered a plan with our doctors in-network for $1,125/month, with a $14K deductible and $14K max out of pocket. I’m fine with the high deductible, as I only want health insurance so that I don’t go bankrupt if I get into an accident or get cancer. So I went with that plan. It also turned out that Washington state requires the purchase of dental insurance if you have kids and you buy health insurance through the ACA marketplace. I wouldn’t have bought it if it was optional, but since I had no option family dental coverage added another $125/month to the bill. I was able to enroll in the new plan before I left the job, and I didn’t need to provide any evidence or documentation for the special enrollment. I bought $5M term life insurance for 15 years with a $1,365/year premium. I did my search through the Geico website, which uses the LifeQuotes broker behind the scenes to aggregate options from many providers in a neat table where you can play with different term lengths and different benefits. I added a feature called living benefits to my coverage, which for an extra $200 premium allows you to withdraw the benefit early in case of a terminal illness. My experience with LifeQuotes was okay. The whole process from applying online to activation took nearly 3 months, which was longer than I expected. Apart from a health check, the underwriter also required tax returns and detailed asset disclosures. I don’t really know why they needed that, but I suspect the financial situation of the insured might be linked to fraud risk — even though it seems difficult to commit fraud with life insurance! I completed this process while I was still employed, but I think it wouldn’t have been a problem doing it after I left. However, I still recommend getting life insurance while employed, since it makes the financial questions much simpler to answer. For disability protection I bought insurance that pays $10K/month until age 65 in case I can’t program anymore. The premium is $2K/year, and the policy is guaranteed renewable at the same cost. Unlike life insurance, I think it is very important to get disability insurance while you are still employed, because the policy is designed to pay if you are unable to continue doing the same type of job you have at the time you buy the insurance. They do employment verification and are more rigorous about health history and financial disclosures than the life insurance underwriters. I would actually have preferred to get $15K/month, but since I also had disability insurance of $25K/month from Amazon, my total benefit would have exceeded my salary, and the underwriters consider that over-insurance. Again, I suspect this has to do with fraud risk, because they really insisted on not taking my money. At least the benefits from disability insurance obtained privately are not taxable, so I would be able to keep the whole $10K/month if I ever were to claim. I searched for this insurance through an online broker called Policygenius. The overall experience was better than LifeQuotes, and the process was completed in 2 months. I bought $1M umbrella insurance from Geico for just $137/year with a single click from their website. I already had auto and home insurance with them, and this policy extends the liability coverage after the first insurance is exhausted. Coverage through the website is limited to $1M, and you have to call to request higher limits up to $10M. I might add more coverage eventually if the cost continues to be around $150 per $1M. While I was on the Geico website, I also made sure that I was maxed out on all the liability coverage on my auto insurance. I have it at $1M injury and $500K property damage, which is the maximum allowed. To lower my premiums a bit I increased the deductible to $2,500. Just like with health insurance, I don’t need insurance for repairing a scratch. I just want it to avoid financial ruin. I have only been in the US since mid 2012, and I’ve maxed my 401K contributions ever since. I’ve accumulated about $180K in my 401K account thanks to the bull market, and I consider this money, minus tax and early withdrawal penalties, to be part of my liquid savings. This might shock people who consider early withdrawals as something you would only ever do under extreme hardship, but for me this is just another form of optionality. I don’t intend to do an early withdrawal, but this is money like any other. As a small optimization, I will likely convert my 401K to a Roth IRA sometime this year. 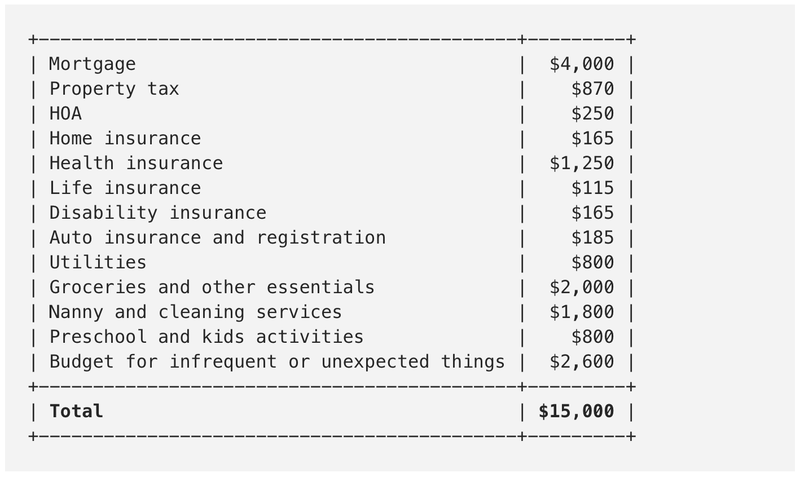 The conversion will require me to pay income tax on the $180K, but since this year’s tax brackets will likely be the lowest I will ever be in, this seems like a good strategy. A Roth IRA grows tax-free, and withdrawals are not taxed. I bought my first home at the peak of the bubble in 2008 (outside the US), and when I sold it in 2014 I had to write a check to the bank instead of the other way around. I had better luck later when I bought my current home in Seattle just before the market spent 20 straight months as the hottest in the country. My home equity grew by about $400K in 3 years, and just before I left my job I refinanced my mortgage to cash out $250K of that equity. I didn’t really need the extra cash, but I figured that liquid cash in the bank adds optionality, and it would have been hard or impossible to refinance later without a high income stream from a steady paycheck. I’ve put the cashed-out money into short-term US treasury bonds at 2.5%, and after paying the bank 4% interest this $250K is only costing me $3,750 per year. It took me about 3 months to close the refinance, but that’s because my property is in a mixed-use zone, which spooked many lenders. A regular single-family home should be able to be refinanced in about a month. My total closing costs were about $3.5K. While I was shopping for the refinance, Key Bank also offered me a $150K line of credit at 5.5% interest at no cost and with no withdrawal obligations. They didn’t even require an in-person appraisal. I took that as well, and it closed within a couple of months. I’ve put 70% of my savings in short-term US treasury bonds and about 10% in CDs, both of which pay about 2.5% right now. I picked up some CDs not for the slightly higher interest rate, but out of paranoia, just in case the US government does something unthinkable. The other 20% is in a few tech stocks that I’ve held on to for a long time. It wouldn’t be a bad idea to convert those stocks to treasuries as well, but I enjoy a bit of speculation on the side. Also out of paranoia, I’ve split my positions across two brokers. 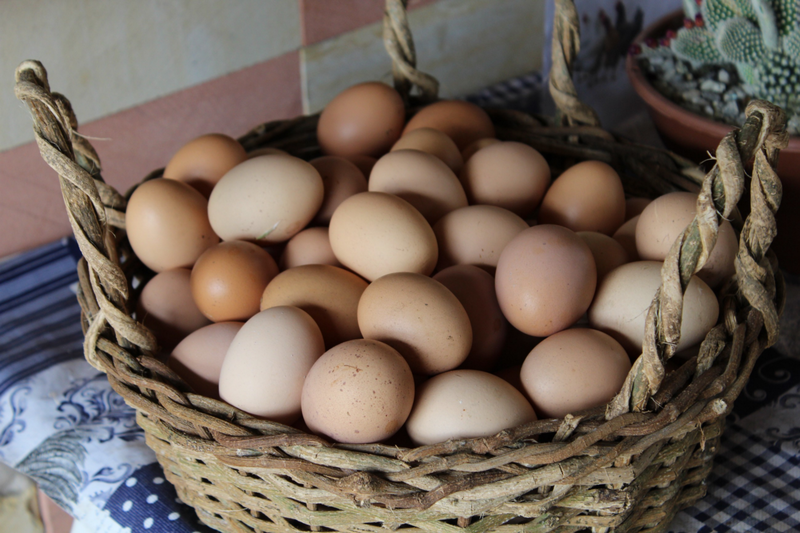 Since I’m going to depend on this money to put bread on the table, I didn’t want all my eggs in one basket. Originally published at danielvassallo.com on February 26, 2019.